After one of our service learning programs, you may never see the world the same way again. These programs support local organizations and neighborhoods abroad in ways that few Americans ever get to be a part of. Our service learning program allows students to partner with local aid and development organizations to provide the support needed most. 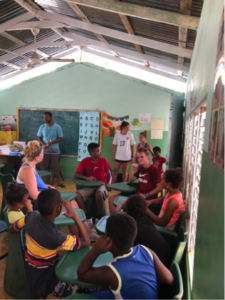 Although ultimately, we’re there to support locally-identified needs and projects, our youth trip volunteers soon learn that service abroad changes them for the better. We also plan to volunteer in the Caribbean in the near future! We want all of our programs to contribute to sustainability — economic, educational, and environmental. That is evident in the hotels in which we stay (locally owned), the restaurants in which we eat (locally owned), the nonprofits with which we partner (local nonprofit organizations and schools), and the transportation companies we work with (locally owned). We also ensure that our trips create jobs in the countries we visit. Our first priority is the safety of our participants. You will have a local guide who knows the community. You will have a designated bus driver available as well. Our bus driver will be cognizant of the best places to park to ensure the safety of our group. In the event of an emergency, they will know the location of the local pharmacies, doctors’ offices, and hospitals. Our philanthropic mission work assists some of the most marginalized populations in the world. 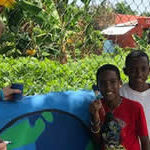 Our focus is to have a long term positive impact on a country’s education, economy, and environmental sustainability. Arrive without an agenda to impose. We ask the local development and aid organizations what support they need (e.g., teaching, painting, planting) and respond accordingly. If their needs change before we arrive, then we are flexible. For example, if we are expected to run a summer camp but a storm hits, we may spend time doing more painting of a school than initially expected. We invite the development aid organization to help plan much of our trip so that we are acting in the spirit of the grassroots network to support their programs. This helps integrate our programs into the fabric of their communities. We stay in locally owned hotels as much as possible so that money spent stays in the communities we visit. One of our goals is to create local jobs. That is why we pay fair trade wages to ensure that we get the best employees and contribute to local sustainability. We want the revenue from our trip to stay in these communities. Importantly, those who work with us abroad work tirelessly to support our groups. They prioritize our safety, productivity, enjoyment, and enrichment. We want to make sure that we pay fair wages. Our service learning program strengthens the larger communities in more ways than meets the eye. For example, when we volunteer for a children’s organization, that organization may provide our meals. The aid organization then hires more parents from the community for cooking and other services. Our service learning program strengthens your organization from PA, NJ, or anywhere in the United States — and enriches the lives of your group members who attend. When it comes to traveling abroad, we believe that part of understanding who you are is understanding who you are not. Crossing cultures is a critical chapter in that journey. Part of growing is working side-by-side with others around the world. We believe that we study the world, for the world. Service learning programs are available for groups from PA, NJ, and beyond including but not limited to Bucks County, Burlington County, Chester County, Essex County, Warren County, Union County, and Montgomery County. Call ILI Travel today to learn more!